Villa La Playa in McCormick Ranch is a Dietz-Crane built subdivision that lies on the Southern boundary of Scottsdale’s first master planned community. 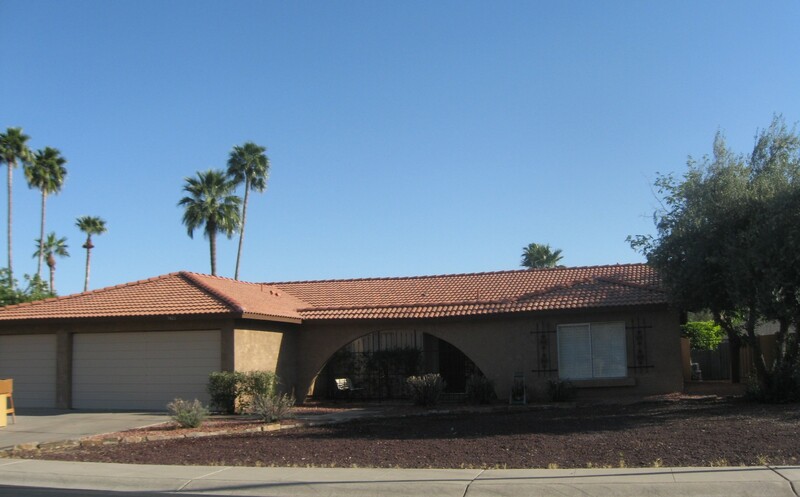 Bound by Indian Bend Rd (South), Hayden Rd (East) and the McCormick Ranch Golf Club’s Pine Course (West), this prime piece of Scottsdale Real Estate features some of the better housing values in the Ranch. A mix of flat and pitched roofs, Dietz Crane added some intrigue to their plans, whereas many builders in this portion of the Ranch tended to lean towards the economical over the dramatic. Whether because the homes in the South end of the Ranch tend to be a bit more affordable as a general rule, a recent preponderance of foreclosures and/or short sales, or just a temporary anomaly, I believe Villa La Playa represents an undervalued subdivision as of the time of this posting. Given the pleasing Spanish exteriors, central location, practical floor plans and pride of ownership within the neighborhood, one might expect this golf course subdivision to routinely command a much higher price than they typically do. The 130 homes of Villa La Playa were built between 1977-1979 (as opposed to the early to mid ’70s construction featured predominantly in Paseo Village, directly across Hayden Rd). All 130 homes are single-level and average approximately 2184 square feet (ranging from 1534 sq ft – 3318 sq ft). 85 (65%) of the homes include private swimming pools. Homes in Villa La Playa were primarily built with block construction and include a sprinkling of 3 car garages amongst the 2 car standard. The subdivision is zoned R1-7 for residential lots with 7000 square foot minimums. Villa La Playa falls within the Kiva Elementary, Mohave Middle and Saguaro High School districts. 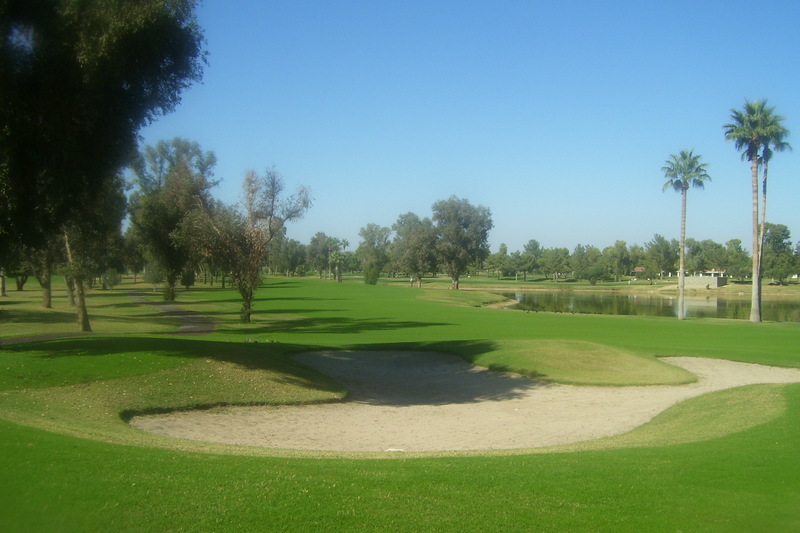 In addition to the McCormick Ranch Pine Course (homes along the Western edge of the subdivision sport views of the course), nearby amenities include the shopping center at Indian Bend / Hayden (Crust Pizza, Albertson’s, China Lite, Goldman’s Deli, etc), the Paseo Village shopping center (Starbuck’s, LA Fitness, Lox Stock and Bagel, Walgreens, The Vig, Luci’s On the Grove, etc), The Seville Shops & Restaurants (The Cove, Ruth’s Chris Steakhouse, Jamba Juice, Starbucks, Wildflower Bread Company, etc) and the McCormick-Stillman Railroad Park. Looking for a solid value in McCormick Ranch? Give Villa La Playa a look. See all Villa La Playa. For all of your McCormick Ranch Real Estate needs, contact Ray & Paul Slaybaugh.